The culture and social psychology of risk are about the way social arrangements affect human judgment and decision making. This is best captured in Prof. Karl E. Weick’s work on Organisational Sensemaking and Collective Mindfulness. This unit looks at the way perception, motivation, readiness, scaffolding, process recognition, social sensemaking and collective mindfulness all condition thinking and decisions about risk. What is your risk iCue ©? How is risk iCue© developed and matured? What indicators and factors enhance risk intelligence? What are the practical skills required to apply risk intelligence in the workplace? We know that too much confidence is placed in ‘common sense’ myths, systems, legislation, regulation and self-perception in managing risk. 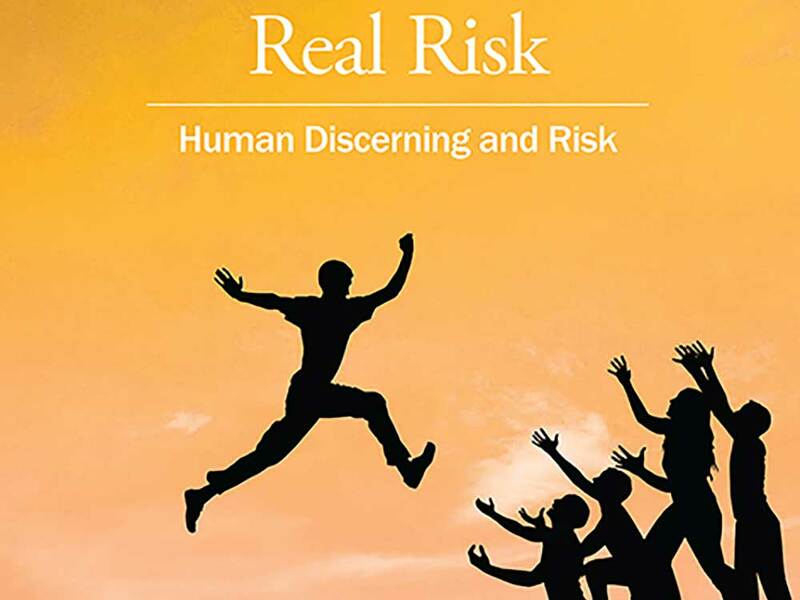 This unit challenges orthodox notions of understanding and managing risk and provides a framework for developing risk intelligence in self and others with a view to maturing risk intelligence in the workplace. The unit generates a new awareness which accepts the importance of informal, low key supportive and non-punishing engagement of others in conducting conversations with skill in a non-defensive approach. Human perception is not reliable. Humans are “hard wired” with limited perceptive abilities. People most often work on the basis of assumption and intuition (gut knowledge, heuristics) in their work, sometimes human communication is not delivered effectively. Human perception is further limited by external factors such as distractions, delay, time pressures, misdirection, sub-cultural rules, groupthink, heuristics etc. Human perception is also limited by ignorance and over confidence. Put simply, people most often don’t know what they don’t know and so, maintain the status quo ie, fear, punitive authoritarianism and bureaucracy as effective solutions to problems to do with risk. Risk trade offs are often made through mis-prioritisation, self-imposed rushing, misdirection and multiple human biases. Most orthodox tools to understand and manage risk (technicist formulas, mechanistic processes, rules-based tools, binary-based methods and closed organising) are valuable but in themselves but do not effectively assess psychological or cultural factors in the workplace. Most assessment of risk only focuses on primary (physical) not secondary (psychological) and tertiary (cultural) risks. The key to understanding these three dimensions of risk is to think of: ‘workspace’, ‘headspace’ and ‘groupspace’. The notion of ‘triarchic methodologies’ is critical in developing mature sense of risk intelligence. This unit looks at the problem of excessive systems and associated new sub-cultures and cultural dynamics that become by-products of many forms of excess. The unit explores a range of unconscious and informal dynamics that work against intelligent approaches to risk. The development and practice of effective methods is a critical aspect of the final part of the unit. Have an increased awareness of the limitations of orthodox systems and tools used to manage risk, understanding of ‘risk cosmetics’ and the challenges of human perceptions, motications and complexities. 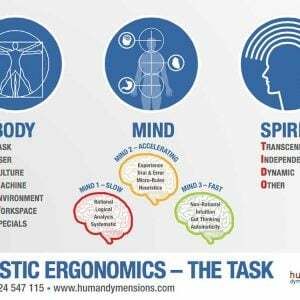 Understand the need for connecting with ‘workspace’, ‘headspace’ and ‘groupspace’ to triarchic thinking and methodology. Learn how to be better observe, understand, sensemake and converse about risk. Be motivated in ‘ownership’ for risk, including an increased awareness of unconscious by-products, trade-offs and wicked problems associate with developing risk intelligence. Develop improved attitudes and values towards informal, indirect and unconscious approaches to manage risk. Development by participants of in-situ tools for assisting risk intelligence. The latest ISO standards (AS/NZS 31000:2009 and HB 327:2010) emphasise the importance of addressing social-psychological and cultural factors in risk management. What should be notes is the subjective nature of the standards and the reliance on communication and consultation in risk. This corresponds with the subjective nature of the Act and Regulation about bringing risk to As Low As Reasonable Practicable (ALARP) and of Due Diligence. This workshop assists in Due Diligence and responsibilities under the Regulation and Standard by complementing with social psychological skills. The Risk Intelligence lectures are available on registration. Participants will watch the video series, design a risk intelligence training program and report on its implementation in the workplace. Tools are provided for use as well as the development of in-situ tools by participants. The purpose of this assignment is document and report on the implementation of a risk intelligence program in the workplace. Abelson, R., Frey, K., and Gregg, A., (2004) Experiments with People: Revelations from Social Psychology Lawrence Erlbaum Associates Publishers, London. Adler, R., and Rodman, G., (2000) Understanding Human Communication Harcourt College Publishers, Fort Worth. Argris, C. & Schon, D. (1996) Organisational Learning II: Theory, Method and Practice. Addison-Wesley, Reading Massachusetts. Axelrod, R., (1997) The Complexity of Cooperation Princeton, New Jersey. Axelrod, R., and Cohen, M., (2000) Harnessing Complexity Basic Books, New York. Ariely, D., (2008) Predictably Irrational: the hidden forces that shape our decisions Harper Collins, London. Baker, W., and Reid, H., (2005) Identifying and Managing Risk Pearson, Prentice Hall. Frenchs Forest. Bargh, J., (ed) 2007) Social Psychology and the Unconscious Psychology Press, New York. Bate, P., (2002) Strategies for Cultural Change Butterworth, Oxford. Bernstein, P., (1998) Against the Gods: The remarkable Story of Risk John Wiley and Sons, New York. Bojer, M., Roehl, H., Knuth, M., and Magner, C., Mapping Dialogue: Essential Tools for Social Change Taos institute, London. Brafman, O., and Brafman, R., (2008) Sway: The Irresistible Pull of Irrational Behaviour Doubleday, New York. Breakwell, G., (2007) The Psychology of Risk Cambridge University Press, London. Buckingham, M., (1999) First Break all the Rules Simon and Schuster, London. Cameron, K., and Quinn, R., (1999) Diagnosing and Changing Organisational Culture Addison Wesley, New York. Casey, S., (1993) Set Phasers on Stun: and other true tales of design, technology and human error Aegean Publishing, Santa Barbara. Chiles, J. R., (2002) Inviting Disaster: Lessons from the Edge of Technology Harper, New York. Chabris, C., and Simons, D., (2010) The Invisible Gorilla: and other ways our intuition deceives us HarperCollins, New York. Chaousis, L., (2000) Organisational Behaviour Prentice Hall, Frenchs Forest. Clarke, T., (1999) Managing Health and Safety in Building and Construction Butterworth Heinemann, Oxford. Chui, C., and Hong, Y., (2006) Social Psychology of Culture Psychology Press, New York. Claxton, G., (1999) Wise-Up: The Challenge of Lifelong Learning Bloomsbury, London. Conklin, J., (2006) Dialogue Mapping: Building Shared Understanding of Wicked Problems Wiley, London. Coachville.com (2003) The Coaching Starter Kit WW Norton and Co., New York. Conway, D. G., (2006) Holiday and Travel Safety Handbook How to Books Ltd, Oxford. David, L., (2002) Man-Made Catastrophes Checkmark Books, New York. Douglas, M., and Wildavsky, A., (1982) Risk and Culture University of California Press, Berkley. Driskill, G., and Brenton, A., (2005) Organisational Culture in Action Sage Books, London. Emery, N., Clayton, N., and Frith, C., (2007) Social Intelligence Oxford University Press, London. Foley, G., (2001) Strategic Learning: Understanding and Facilitating Organisational Change Centre for Popular Education, Sydney. Frith, C., (2007) Making up our Mind Blackwell, Oxford. Gardner, D., (2008) Risk: The Science and Politics of Fear Virgin Books, London. Gardner, H., (2006) Changing Minds Harvard Business School, Boston. Garratt, B., (ed) (2003) Developing Strategic Thought Profile Books, Surrey. Gigerenzer, G., (2007) Gut Feelings: The intelligence of the unconscious Viking, New York. Gladwell, M., (2002) The Tipping Point: How Little Things Can Make a Big Difference Little, Brown and Co., Boston. Gladwell, M., (2005) Blink Penguin, London. Hassin, R., Uleman, J., and Bargh, J., (2005) The New Unconscious Oxford University Press, London. Hellriegel, D., Slocum, J., and Woodman, R., (2001) Organizational Behaviour South-Western College Publishing, Mason, Ohio. Hofstede, G., J., Pedersen, P., and Hofstede, G., (2002) Exploring Culture Intercultural Press, Boston. Hofstede, G., and Hofstede, G. J., (2005) Cultures and Organizations: Software of the Mind McGraw Hill, New York. Hudson, F., (1999) The Handbook of Coaching Jossey-Bass, San Francisco. Humphrey, B., and Stokes, J., (2000) The 21st Century Supervisor Jossey-Bass, San Francisco. Jervis, R., Lebow, R., and Stein, J., (1985) Psychology and Deterrence Johns Hopkins University, Baltimore. Johnson, N., (2007) Simply Complexity Oneworld Publications, London. Kahneman, D., Slovic, P., and Tversky, A., (1982) Judgement under uncertainty: Heuristics and Biases Cambridge University Press, London. Kahneman, D., and Tversky, A., (2000) Choices, Values and Frames Cambridge University Press, London. Kaplan, P., (1999) The Nothing that is: A Natural History of Zero Oxford University Press, London. Kasperson, J., and Kasperson, R., The Social Contours of Risk Vol 1. Earthscan, London. Kasperson, J., and Kasperson, R., The Social Contours of Risk Vol 2. Earthscan, London. Klein, G., (2004) The Power of Intuition Random, New York. Lacob, P. and Jeannerod, M., (2006) Ways of Seeing: The Scope and Limits of Visual Cognition Oxford University Press, London. Layder, D., (1996) Understanding Social Theory Sage, London. McSween, T., (2003) The Values-Based Safety Process John Wiley, New York. Mitroff, I., (2001) Managing Crises before they Happen Amacom, New York. Mitroff, I., (2004) Crisis Leadership: Planning for the Unthinkable Wiley, New York. Mitroff, I., (2005) Why Some Companies Emerge Stronger and Better from a Crisis Amacom, New York. Morris, J., (2000) Rethinking Risk and the Precautionary Principle Butterworth Heinemann, Oxford. O’Driscoll, M., Taylor, P., and Kalliath, T., (2005) Organisational Psychology in Australia and New Zealand Oxford University Press, London. Olson, E., and Eoyang, G., (2001) Facilitating Organisational Change: Lessons from complexity science Jossey-Bass, New York. Patterson, K., Grenny, J., McMillan, R., and Switzler, A., (2002) Crucial Conversations: Tools for talking when the stakes are high McGraw Hill, New Jersey. Perrow, C., (1999) Normal Accidents: Living with High-Risk Technologies Princeton University Press, New Jersey. Plous, S., (1993) The Psychology of Judgement and Decision Making McGraw Hill, New York. Renn, O., 2008) Risk Governance: Coping with Uncertainty in a Complex World Earthscan, Stirling VA.
Ropeik, D., and Gray, G., (2002) Risk: A practical guide for deciding what’s really safe and what’s really dangerous in the world around you Houghton Miffflin Co. Boston. Schein, E., Organisational Culture and Leadership Jossey Bass San Francisco. Schneier, B., (2006) Beyond Fear Springer, USA. Seife, C., (2000) Zero: The Biography of a Dangerous Idea Penguin, New York. Sloan, J., (2006) Learning to Think Strategically Elsevier, New York. Slovic, P., (2000) The Perception of Risk Earthscan, London. Stadler, M., and Frensch, P., (eds) (1998) Handbook of Implicit Learning Sage Publications, London. Sunstein, C., (2002) Risk and Reason Cambridge University Press, London. Taleb, N., (2007) The Black Swan: The impact of the highly improbable Random House, New York. Tarvis, C., and Aronson, E., (2007) Mistakes were made (but not by me): Why we justify foolish beliefs, bad decisions and hurtful acts Harvest Books, Orlando. Vaughan, G., and Hogg, M., (1998) Introduction to Social Psychology Prentice Hall, Sydney. Vecchio, R., (2000) Organisational Behaviour: Core Concepts Dryden Press, Fort Worth. Waldron, H. A., and Edling, C., (2004) Occupational Health Practice Arnold, London. Walsh, J., (1998) True Odds: How risk affects your everyday life Silver Lake Publishing, USA. Weick, K., (2001) Making Sense of the Organisation Vol. 1. Blackwell, Oxford. Weick, K., (2009) Making Sense of the Organisation Vol. 2. The Impermanent Organisation Wiley, London. Wegner, D., and Vallacher, R., (1977) Implicit Psychology: An Introduction to Social Cognition Oxford University Press, London.